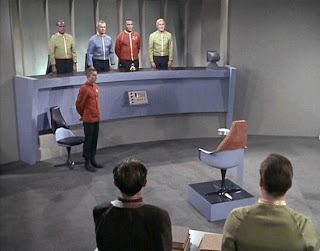 Captain Kirk is put on trial on the charge of negligently giving the order that cause the death of one of his crew. His version of events is at odds with the computer record. 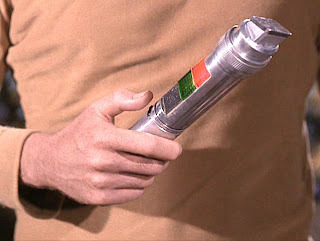 Complicating matters is the fact the crewman had a past with Captain Kirk. Captain Kirk reported him years ago for a serious lapse that derailed his career, causing deep resentment for his former friend. Is Kirk or the computer correct? Have the stresses of command caused a momentary lapse in judgment? Does Kirk reciprocate his former friend's resentment and did it play a role in his decisions? 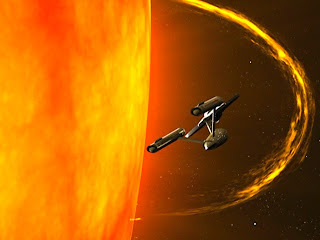 The Enterprise is sent careening through time by a chance astronomical phenomenon. When the crew comes to, they find themselves in a precarious orbit around Earth of the 1960s. How will they avoid detection by the powers of the day, inadvertently changing the past, and how indeed will they return to their own time? Look out for that solar flare! The Enterprise arrives at Cestus III to find the Federation colony there destroyed. 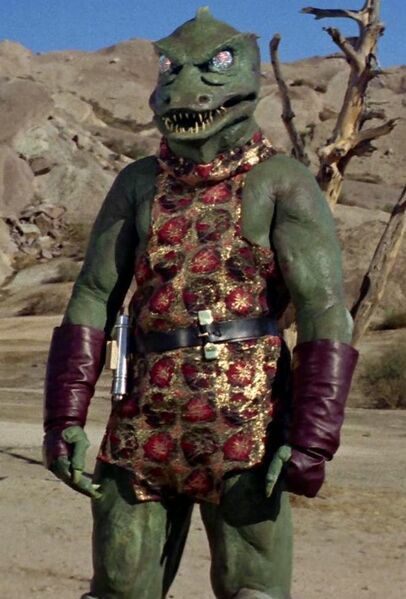 The attackers soon reveal themselves, a new and powerful potential enemy, the reptile-like Gorn. 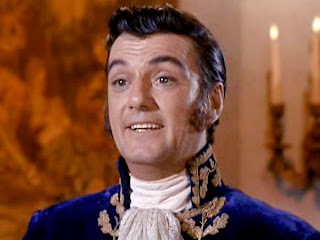 The Enterprise pursues the fleeing attackers, knowing if they escape, the attack on Cestus will be only the beginning. However, other, even more powerful forces are at work, and they have their own plans for the crew of the Enterpise. Kirk eventually finds himself alone and unarmed on a planet, facing off against the captain of the Gorn ship in a fight to the death, with the fate of both their crews in the balance. Will Kirk and the Enterprise survive this latest danger? Matt and I both gave this a 3 for a total of 6. There are good elements and ideas here, but in the end, everything came out as the good side of average. It was a good hour of television. There were explosions, and who doesn't love that? 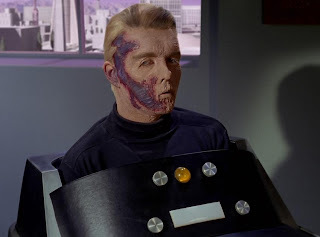 This is a popular fan episode, and it certainly has enough to justify that position, but while it may be better than average television, it is average Trek. Enjoy the podcast, everyone. 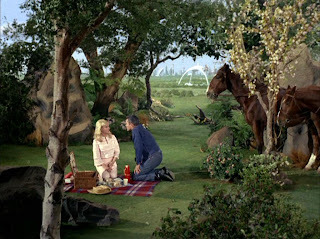 The Enterprise finds a planet that seems ideal for a much needed shore leave for the tired crew. But as strange things start happening, the crew must ask: is it everything it's cracked up to be? 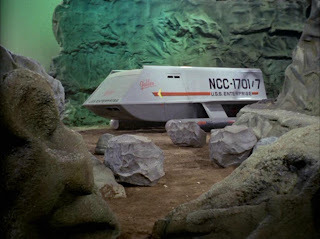 The Enterprise is sent to respond to a series of distress calls from the outposts along the Romulan border. 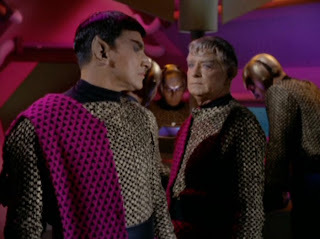 The Romulan Empire is a power, but mysterious foe. Little is known about them, not even their appearance. Captain Kirk and his Romulan counterpart must now engage in a deadly game of cat and mouse, and the fate of Federation hangs in the balance. Matt and I gave this a combined 10. 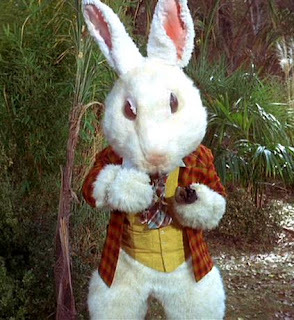 It's classic Star Trek and for a very good reason. Stellar performances and a tight script hold together a wonderful hour of television. You should download this podcast if only for a reason to sit down and watch this fantastic episode. Go on. Go. We'll wait. This podcast comes in just under an hour long and 54.5 MB. Despite Star Trek being known for its babes, especially The Original Series, the franchise has had more than its fair share of beefcake. These men are near and dear to my heart, as not only are they attractive, but in some cases, were among the first crushes I ever nursed. And since we are nerds, nothing makes us happier than a numbered list. Obviously, this list is highly subjective and personal, so take its universality with a grain of quadrotriticale. Matthew started his list with some honorable mentions, as will I. My honorable mentions all tie together with a theme. These are the guys I thought were totally cute when I first watched the show as an adolescent/teenager, and as a result, they are all closer to the age I was then than the rest of the men who populate this list. If Tiger Beat had a Star Trek section, these guys would be in it. 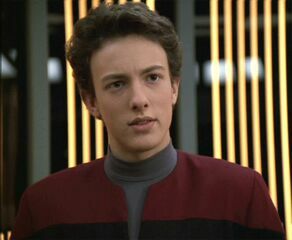 Wesley Crusher, Icheb, and Q Junior. 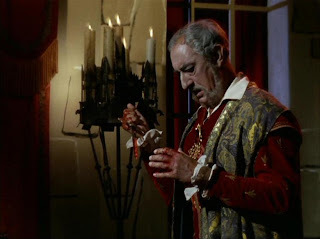 Captain Kirk thinks he found the infamous Kodos the Executioner living under an assumed identity as an actor in a traveling troupe. Twenty years ago, Kodos seized control of the colony on Tarsus IV. The colony was facing a food crisis threatening its 8,000 residents. Using his own version of eugenics, he selected 4,000 colonists to die so that the other 4,000 might live. When Federation forces eventually retook the colony, they found only a corpse burned beyond recognition. Only 9 of the surviving members of the colony saw Kodos, and they are being killed one by one. The two remaining eye witnesses to the massacre are one of the Enterprise's engineers...and her captain. I grew up playing this game on my family's Apple IIc. Now, it's available for all you windows users out there - WinTrek, a free version of the classic space shooter Star Trek sim. Download and enjoy! Try the WinXP link if you're running XP or later. The PDF is available for free, with instructions. Here's the long and the short of it: You patrol an 8x8 sector grid of Federation space. There are X number of enemies invading. You have starbases to refuel at. The Long Range Sensor window tells you how many enemies, starbases, and stars there are in each sector. It is up to you to eliminate the enemies (no time for diplomacy) within a certain time frame, and without running out of dilithium energy. It's all about time and energy management. -Impulse takes less time than warp (warping to the next sector consumes a day of time). So if you're right next to an adjacent sector, just do an impulse hop to get there. -Red stars sometimes allow you to slingshot around them with the "Richochet" command in the computer console. These slingshots will send you a random number of sectors away without consuming fuel or time. A good way to explore the map. 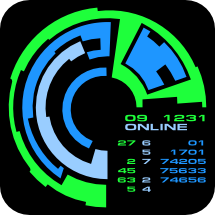 -The "scan" command in the computer will tell you how much energy the enemies have, so you don't waste excess power on phasering them. Use your torpedoes first, anyway, because they consume no power. -Go into the options and uncheck "one control window." I don't know why this option even exists. But it will irritate you to no end until you uncheck it, as it will make all of your carefully arranged windows disappear each time you do something. Aargh! Matthew, Kevin, and Kelly know that I, being a radical free-market libertarian, have more than a couple qualms with Star Trek when it comes to economics and government. They’ve been taunting me for weeks to write a response to the question of whether Star Trek is left-wing/liberal/completely unrealistic when it comes to those issues.